Kota is a popular city and the capital of Indian State of Rajasthan. Not only there are some amazing shopping markets in Kota, but there are some popular tourist attractions in Kota as well. Usually on the weekends people either love to hang out for shopping or they look out for Water Parks in Kota. Being a moderately big city there are some good Amusement & Water Parks in Kota. Summers in Kota are quite harsh and to beat the summers visiting a Water Park in Kota is definitely the best choice. Today, we will tell you all about the 2 best water parks in Kota. Let’s get started with the list of water parks in Kota! Known to be the first water park in Kota, Aquagreens has been attracting huge number of visitors from Kota and nearby places. As it is located inside the Hariyali Resort, some people also refer to it as Hariyali water park in Kota. It has been more than 10 years since it has been serving people with unlimited thrill and excitement. If you want to have the safest, cleanest and one of the most memorable experience, you should definitely visit Aquagreen Water Park in Kota. To have a good time full of fun and thrill, you should not miss out on Aquagreens Water Park. Not only does it provide water park and amusement rides but it is also known to host various events like marriages, business meetings etc. We can say that this is a water park for people of all ages, so whether you are a Child, an Adult or a Sr.Citizen, you will definitely have a good time here. Food lovers have a lot of options to choose from a number of snacks and beverages. Lakshya Water Park in Kota is located on the Kota-Baran National Highway and is known to be one stop destination for fun and excitement. This park is full of water slides and amusement rides and it provides good amount of adventure to each and every visitor. It is definitely one the best water parks in Kota as it has something to offer for each and every visitor. Some of the popular water rides include water mushrooms, water curtain, rain shower pillar, rainbow fall and the mist pool. 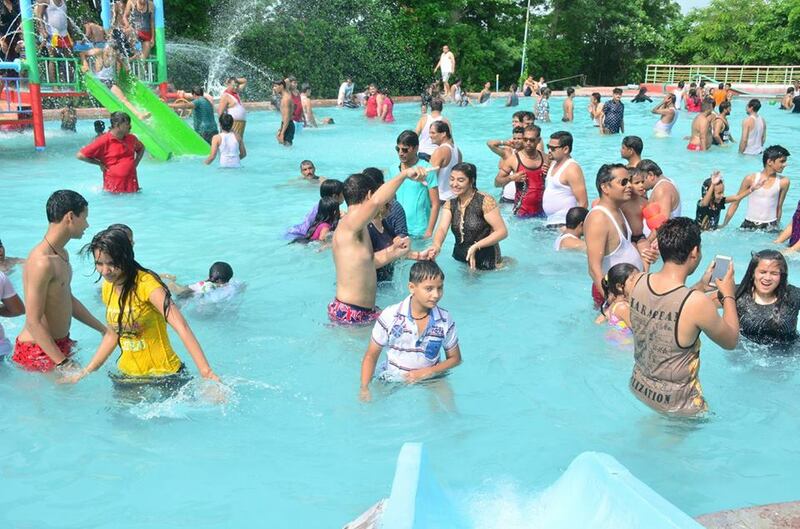 As it is located on the Simliya-Baran Road, some people also refer it to as Similiya Water Park Kota. Thats not all, you can also enjoy here at a vast leisure pool with water depths for all ages. The park also has a ran dance area where you can enjoy a rain dance in any season along with the live DJ. Lakshya Water Park Kota is also known to arrange various events and shows along with the live DJ. So, what are you waiting for ? Come, enjoy the best chills and thrills in Lakshya Water Park near Kota/Bundi . This is our Complete list of Top 2 Water Parks in Kota. Hope we get to see some more new water park in Kota in future. Have a Good Time !